Dr. Priyesh Dhoke is a fellowship trained Spine Surgeon with several National and International recognitions. Dr. Dhoke was selected for the prestigious AO Spine International clinical spine fellowship for one year at the AO Spine Referral Center, BrisbaneAustralia. Pursuing his interest further he was trained at Singapore General Hospital for one year as a clinical fellow in Minimally Invasive Spine Surgery. After working as a Consultant Spine Surgeon at MIOT International Hospital, Chennai for one year, he finally decided to dedicate his services to Nagpur and Central India. Dr. Priyesh is actively involved in research and bags several papers in International Spine Journals. He also presented many papers at several National and International platforms.Dr. Dhoke was trained under Dr. Richard Williams for adult spine surgery at the Princess Alexandra Hospital, and with Dr. Geoffrey Askin for paediatric spine at Mater Children Hospital, Brisbane, Australia. Later, he was trained at Singapore General Hospital, Singapore for one year as Clinical fellow and mastered the Minimally Invasive Spine (MIS) Surgery under Prof. Tan Seang Beng and Prof. Yue Wai Mun. I am a 55 year old patient and was undergoing increasing low back pain and weakness for 3 months and not responding to my doctor’s treatment. I was not able to sleep with the excruciating pain. 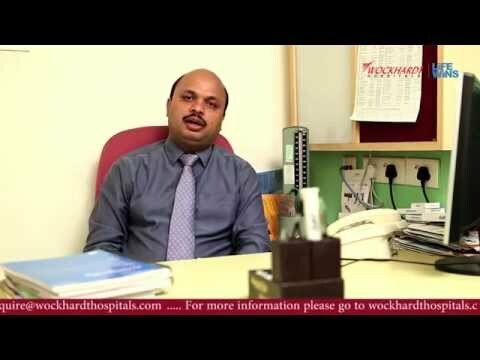 Dr Priyesh Dhoke a very experienced spine surgeon at Wockhardt hospital, Nagpur evaluated my case. I was to undergo an MRI and underwent a spine surgery. My intervertebral discs in the spine were damaged in my lower spine. It was revealed to me during my surgery that I had a fungal infection in my spine and was the cause of condition. Post-surgery I started walking again and resumed my duties." The Sub-axial Cervical Spine Injury Classification System: an External Agreement Validation Study.' The Spine Journal, 2013 Sep; 13 (9):1055-63. doi: 10.1016/J. Spine .2013.02.040. Epub 2013 Mar 29. “The precision, accuracy and validity of detecting posterior ligamentous complex injuries of the thoracic and lumbar spine: a critical appraisal of the literature.” European Spine Journal, Mar 2013; 22(3): 461–474. Published online on Dec 1, 2012; doi: 10.1007/s00586-012-2602-7PMCID; PMC 3585631(Acknowledgement). • M.S. (Orthopaedics) - Shivaji University, Kolhapur (University First Merit). • Spine Tumour and infections (TB of Spine).